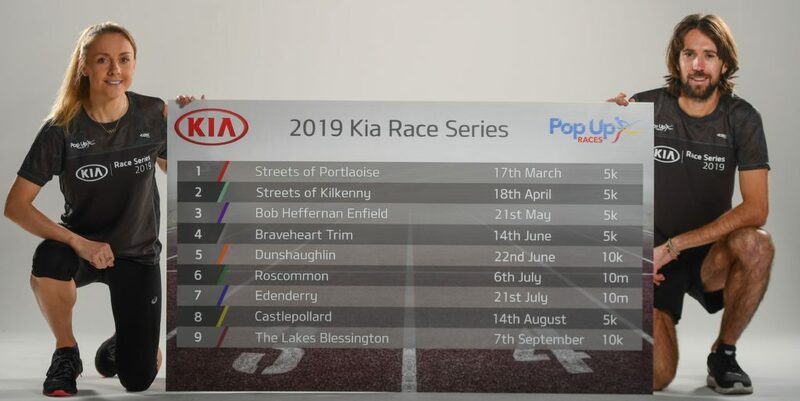 The Kia Race Series is back in 2019, and promises to be bigger, better and faster than ever. Each race will have course record bonus pots of €1,000, sponsored by Kia Ireland, as well as the usual cash prizes on offer by the host clubs. This year also brings in a Masters Series. It is open to anyone who is 40 or over in the year of the series, with the overall male & female winners winning a trip for 2 to the European masters (flights, accommodation & entry) in 2020. In total there will be 9 races in the series, with the participants 5 best scores taken into account when the final league table is complete. Unlike last year, there will be no finale, the series is done solely on a league format. The elite entries will be finalised by the middle of February. The winner has to complete a minimum of 5 races, with the best 5 scores to count in the league standings. Elites expression of interest – click here.